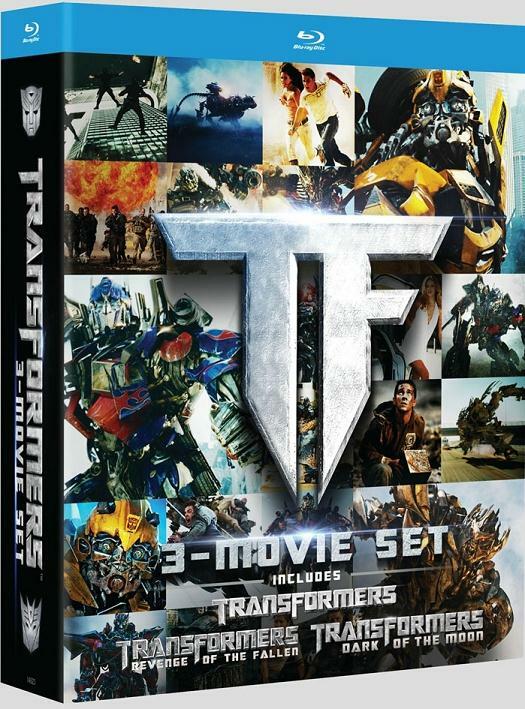 Thanks to Blu-ray.com The Transformers Trilogy box set now has a known release date and box cover to go with it. The three-disc set will be out next week on December 13, 2011 (at least in the US, not sure for other regions). Amazon has it priced at $47.99. As the cover shows, it’s a nice collage of scenes from the movies. Sadly, as become the norm, no information on what the extras are. I am guessing the extras will be what are on the first Blu-ray disc of the first two movies and who knows for the third since the September release of Dark of the Moon had none and still no information on if the "Ultimate" edition will have any or not. The cover and release date just coming out a week before release and still not really officially confirmed by Paramount? 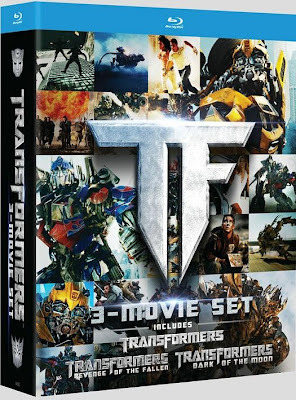 For whatever reason, Paramount Home Video department has done a pathetic job of getting any information out on intended release of Transformers related product over the last few months. Makes me wonder why. Transformers2 is the regular BluRay edition or the BluRay Big Screen IMAX Edition? Surely Paramount did a pathetic job worldwide with Transformers releases. Really. The simple fact that TF2 IMAX extended BluRay edition was released in the US alone and not in other countries just to save a few bucks not dubbing the new scenes were needed it's absolutely dumb business. Retarded managers at Paramount. I don't care for a trilogy. Fans like us already have the first 2 movies and most of us alrady bought the 3rd. I'm from The Netherlands and I also have the Big Screen Imax Edition of ROTF, but its indeed stupid and cheap of Paramount, not to release it in the rest of the world. I just saw here on the biggest Dutch webshop www.bol.com , that the 3D blu-ray got shifted again, from January the 18th, to February the 15th. That's NOT a good sign. I'm betting we'll never get 2-disc Special Edition. And still no Score cd, what's up with that?! I can wait patiently for the box set. They always take time to put them out right and I enjoy that producers put a lot of effort into those things, like most of my box sets. I know for sure I am buying it.